Looking for local, reliable, professional and affordable skip hire in Glenelg? As an established waste management and disposal company, we supply skips across Adelaide and the metropolitan area for all residential and commercial waste management projects. 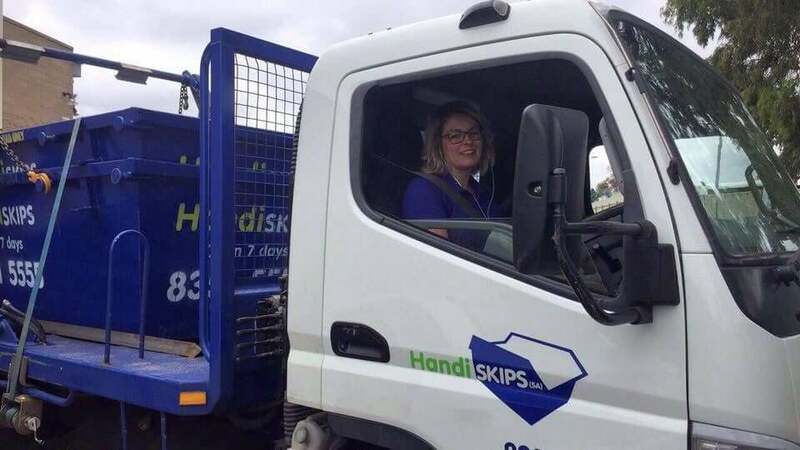 Handiskips (SA) is a family owed business with a vast experience in handling waste management needs of the local community, both for residential and commercial purposes. Whether you are renovating or clearing a house, sorting out an office, or managing a building site, we have a skip to suit your requirements. 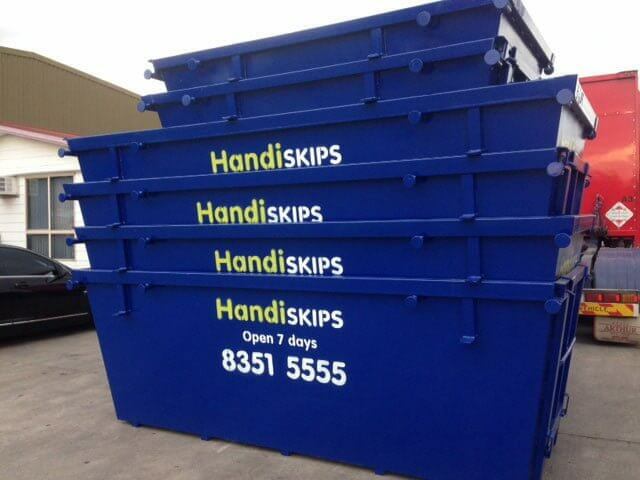 Get in touch with the Handiskips SA team today to learn more about what size and type of skip is best suited to you. We are the most efficient and reliable skip hire service in Adelaide. 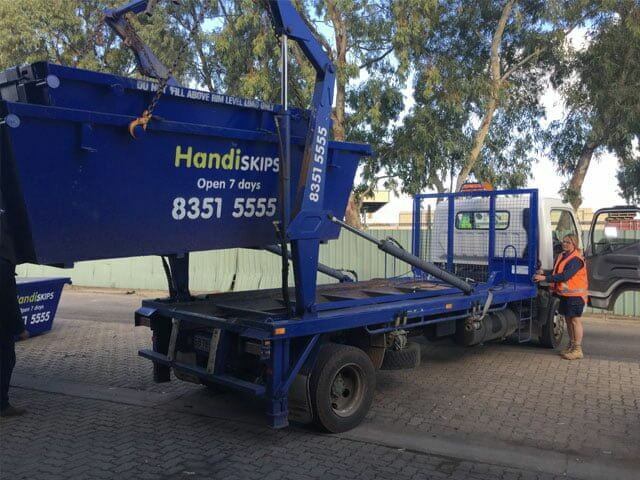 Fully insured and licenced, Handiskips SA is known to always deliver the highest standard of skip hire and waste removal. We are always happy to help with any questions regarding your skip hire to Glenelg. Whether it be about prices, permits, waste types, or advice on skip sizes. Trust our professional team to provide you with the answers you need. Find the best and cheapest skip hire deals in Adelaide. Our extensive range of skips ensures that we can deliver the perfect skip for your requirements, saving you time and money. Customer satisfaction is paramount to us. For a prompt service call Lisa, our Glenelg skip hire expert. We guarantee professional and friendly staff who strive to provide you with an exceptional Handiskips SA. From garden waste to bricks, skip hire is the easiest and most convenient way to efficiently remove rubbish. If it is time to ditch broken furniture, or clean up after the house renovations, get in touch with Lisa today! We deliver rubbish skips to more than 200 Adelaide suburbs and work 7 days a week. For any green, general or quarry waste, Handiskips SA is just a phone call away!! At Handiskips SA our commitment to the environment extends beyond our fleet and that is reflected in our current recycling rate of 95%. We help recycle most of your waste that makes our quality service both economical and environmentally valuable. 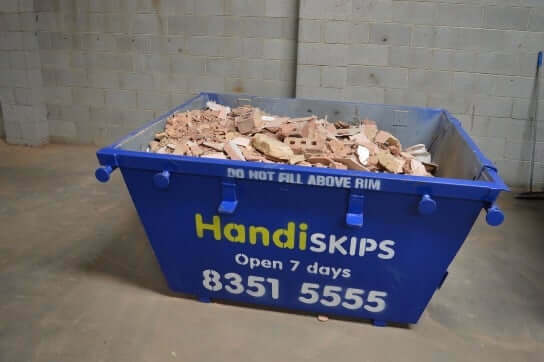 Give Glenelg’s top rated skip hire service- Handiskips SA- a call today on 8351 5555.